Michaelangelo is a party reptile. Even though the sinister Shredder may be slicing his way through the manhole cover, Mike stays cool...cool because he's the master of the whirling nunchukus. It takes eight pounds of pressure per square inch to break bone. The nunchukus generate ninety! 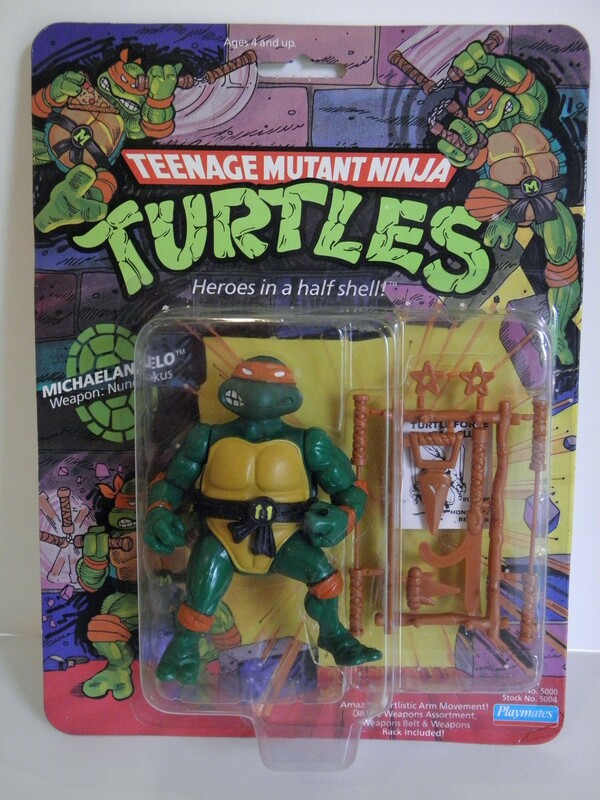 In the midst of the most perilous of battles, Mike can be seen swinging his deadly nunchukus in one hand while dangling a wedge of pizza in the other. 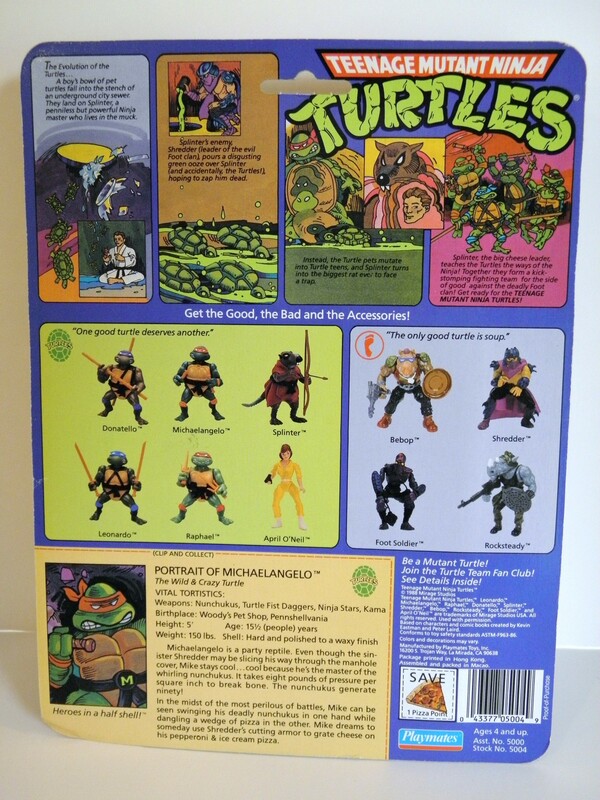 Mike dreams to someday use Shredder's cutting armor to grate cheese on his pepperoni & ice cream pizza.